Located on the 14th Floor of Trump International Hotel & Tower® Chicago, the 23,000 square-foot Spa at Trump® includes 12 spa treatment rooms offering an array of massages, facials, relaxation programs and signature beauty treatments for women, men and couples, in addition to Swiss and Vichy showers and hydrotherapy tubs. With a Spa Cuisine Menu and several distinct relaxation spaces, The Spa at Trump provides an all-encompassing experience for guests. The Spa at Trump is pleased to introduce luxury brand Natura Bissé as its new signature skincare line. The internationally renowned Natura Bissé range of products and services, founded in 1979, is an innovative skincare line whose products contain only natural free-form amino acids. Signature gemstone products by Shiffa and Daily Elixirenvelop guests in services geared toward wellness and inner health through offerings based on five Trump Personal Intentions: Calm, Balance, Purify, Heal and Revitalize. 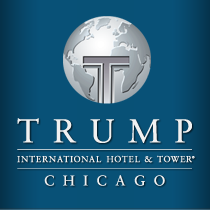 Residents of Trump International Hotel & Tower® Chicago enjoy the luxury of receiving many Spa at Trump services, including massage and nail treatments, in their homes. Indulge in the luxury of a treatment from Chicago's premier spa without leaving the comfort of your own home.